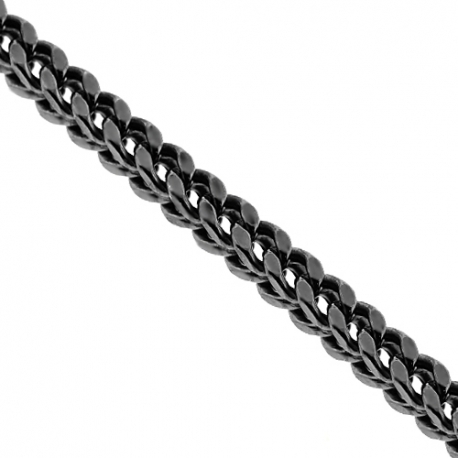 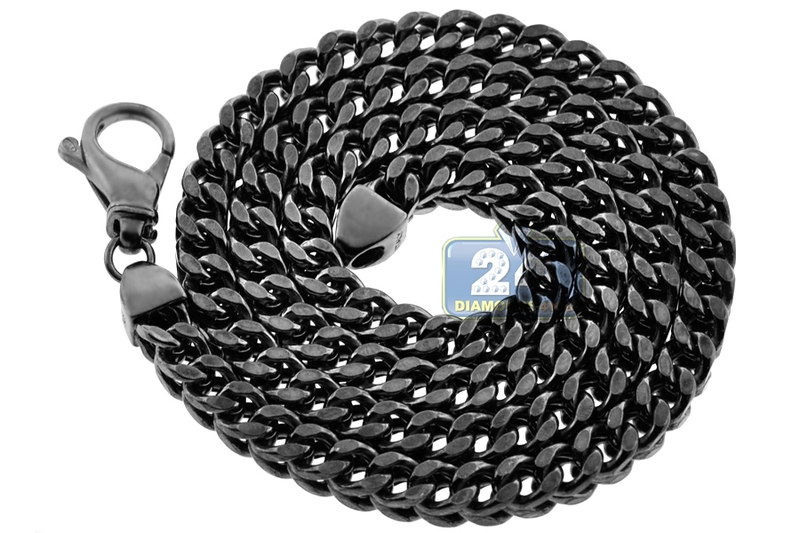 You will look fabulous wearing our bold franco link chain! 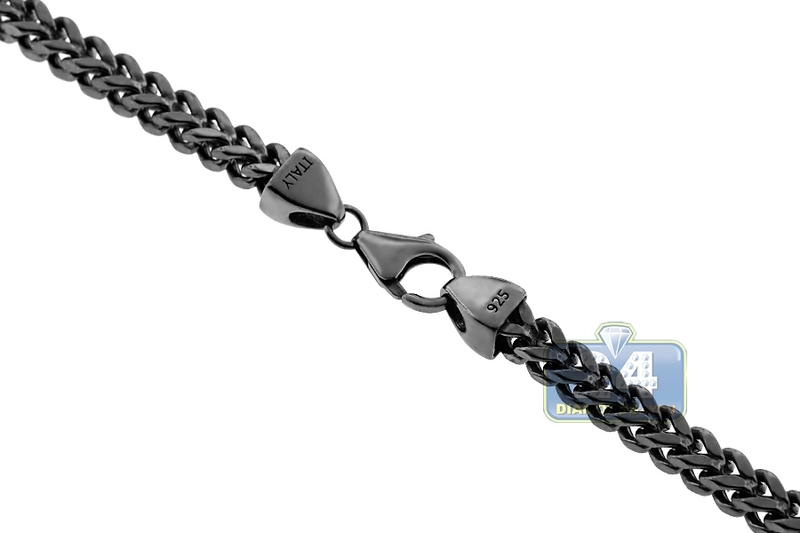 It's professionally made of 925 sterling silver, and covered with black PVD that helps prevent tarnishing and gives a bright color. 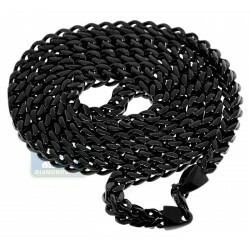 The necklace measures 7 mm in width, available in 24, 26, 28 or 30 inches in length; and secures with a safe lobster claw clasp. 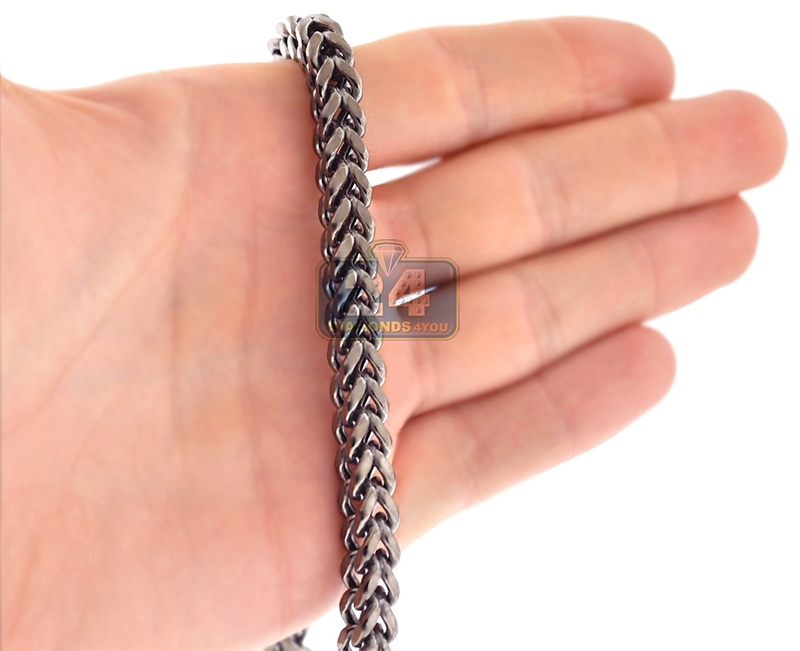 Feel very special with this unique piece of jewelry!